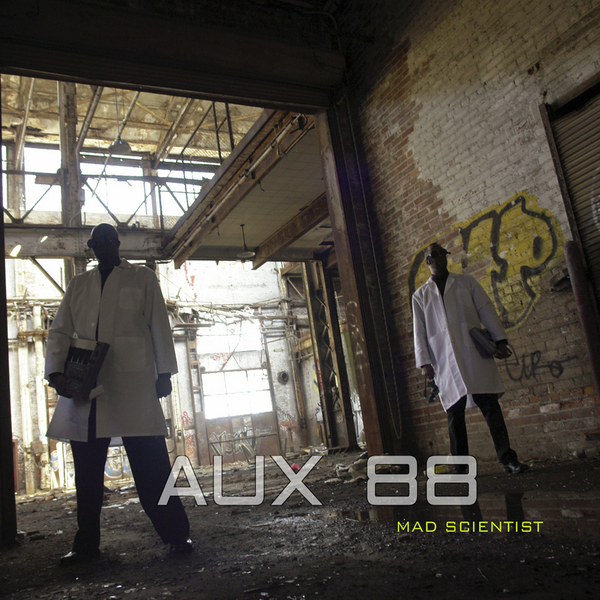 Steadfast Detroit stalwarts Aux 88 return in 2009 with their first album since 2005's self titled LP, working studiously in their 313 lab to formulate a conceptual set dealing with interstellar aliens and time travel from what we can gather. With Aux 88 the old adage "if it ain't broke..." always rings true, sticking with their favoured 808's and vintage analogue synthesizers for eighteen tracks of bass pumping and shoulder twitching electro with the sci-fi aesthetic that's become their trademark. The better cuts here sway towards the Urban Tribe/DJ Stingray uptempo style as one 'Control Panels' with tumbling bassdrums and moody techno synth arpeggiations or 'Annihilating The Rhythm' with mean 303's screwed through a writhing technoid rhythm worthy of the Drexciyan DJ master. One for the purists and any lovers of Detroit's darker side.